Whoever Said “Facebook Friends Aren’t Real” Is One Big, Stupid Idiot. The holiday season is winding down and I’ve read blogs about fruitcake, go ahead, start the jokes… Pass them around like some people did (not me, kids) like a joint or bottle of beer when they were in college. 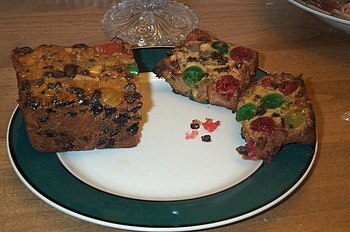 I’ve heard it all, all the silly jokes how nobody likes fruitcake, and everything is artificial, ad nauseam. My father, when he was alive, ate fruitcake joyfully and loved it; he passed that gene on to me. I love fruitcake, I honestly do. For years I begged people if they had received fruitcake as gifts NOT to throw them out because I would happily take it off their snobby shoulders. Funny, in all that time, nobody offered me their unwanted fruitcake. Nobody, until recently, one of my Facebook Friends, Sarita, saw me talking about fruitcake and out of nowhere she offered to send me a mini fruitcake that was baking in her oven. Sarita, is one of my group of Facebook Friends that share a common and unyielding illness. We all seem to have some sort of chronic pain disease, in my case, Fibromyalgia. Believe me, it is not limited to Fibromyalgia (Fibromyalgia generally doesn’t work alone) but comes with many other ailments. I also have an auto-immune disease, Hashimoto’s Thyroiditis and some of my friends share that as well. Others have different, chronic pain but we are connected, perhaps not in person since we live in different places but definitely in our hearts. When I told my (adult) children that my friend on Facebook was sending me a mini-fruitcake across the country they looked at me with those critical eyes, and the “what are you crazy” stare? “Mom, they said slowly in single syllables, you. don’t. even. know. her. she. could. be. send.ing. you. An.thrax.” I had never heard a more ridiculous thing in my life. Of course I knew her, I have known her for years, we’re friends, we are here for each other, we support each other. The fact that Sarita was a “stranger” NEVER ONCE crossed my mind because Sarita was my friend and I was hers. “So, my observant 19-year-old daughter said, you wouldn’t mind if I was corresponding with some random man on the internet and he baked me some cookies and sent them to me and I wanted to eat them? Well, now that was indeed different, I said. I have talked to Sarita on the phone several times, we’ve been in touch with each other for years and I am not 19 and Sarita is certainly not some stranger. However, my daughter was right, I would not feel comfortable with her taking candy from strangers but I hardly see it as the same situation. Facebook Friends for those of us with common limitations are not only useful to us but sometimes life-saving, Who knows better what it feels like to be in a Fibro Flare than another Fibro patient? I don’t like to complain to my family or my friends at home because frankly, they just don’t get it. How could they? They don’t have the illness. I’m not saying they lack empathy (most lack it a few don’t) but my Facebook Friends understand what I feel, completely every single day. To them, I say THANK YOU, for the love and support and the ongoing kindness. We are all here for each other and that means a lot. I need to take a break now, for some more fruit cake and with it some pumpkin bread as well. What did you say about my Facebook Friends? Yeah, that’s what I thought. It’s okay, we are all wrong sometimes……May God or Spirit or Angels Bless these special people in my Life. They are in my life for a reason. This entry was posted in Uncategorized and tagged angels, Building Me Up, Christmas, chronic pain, disease, Distance, Facebook, Facebook Friends, fatigue, fibromyalgia, Fibromyalgia Pain, friends, Fruit cake, fruitcake, God, Groups, hashimoto's thyroiditis, Holiday Season, Holidays, illness, spirit, Support Online, True Friends, understanding by hibernationnow.wordpress.com. Bookmark the permalink. I completely agree, Laurie! Facebook friends are very real, and sometimes, or maybe even most times, more real than people who live around the corner. At least, when you are bound together by a common illness, especially a misunderstood one. The only people who can really understand what we go thru every day – the constant struggle that is life, the non-stop pain, the frustration at living this way, the emotional pain at seeing the burden we are placing on our most beloved family members – the only people who can truly understand are those who are going thru the same thing. We bond over the tiniest triumphs, support each other thru the roughest patches, cheer each other on, and open our hearts and souls to each other, in a way we simply can’t do with healthy people, because they have no idea – how could they? – of what it is like to live with these illnesses day after day, year after long year. And for the record – I love fruitcake, too. I'll have to make some gluten free fruitcake sometime – I used to have a recipie for old fashioned fruitcake that was soaked in rum for several weeks… my gosh, was that good stuff! I've been craving it since October! With real fruits and not dyed hard lumps… moist juicy raisins and cinnamon and… I'm never gonna get to sleep at this rate! Far past my bedtime! I consider wordpress to be part of facebook. it was in the general sense, of course. you should know that. Oh. Thanks for setting me straight. I’m not big in understanding the “social networking” circles. I use facebook to keep in touch with a few people from my old life… old friends, co-workers and family. And I’m not so good at that. I began writing on wordpress to have an avenue to publish my writings. But my wordpress has become a place where I open my heart and life and welcome new friends from around the world. It’s been a BIG surprise that wordpress friends are so wonderful. :-).